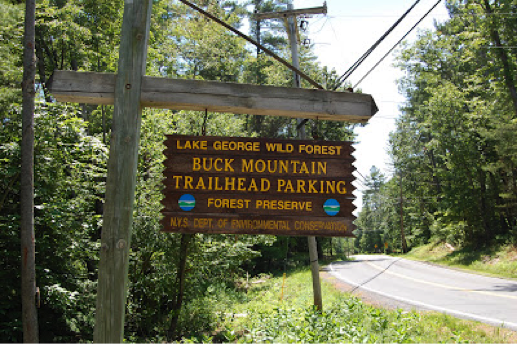 Buck Mountain is a quintessential Adirondack hike. 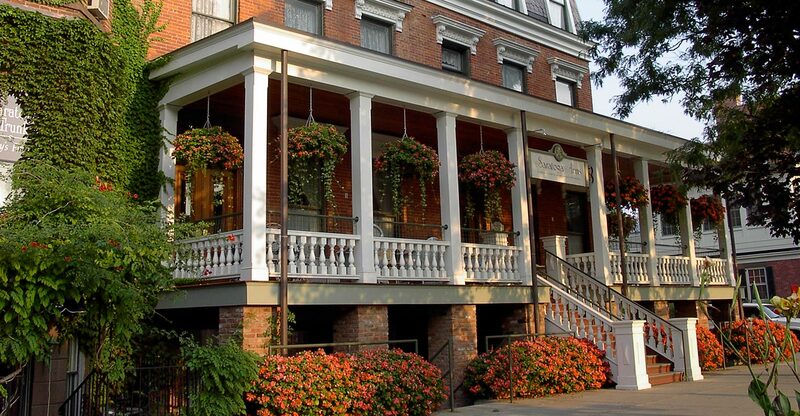 It is located on the eastern shore of Lake George and provides some of the best views up and down the lake. 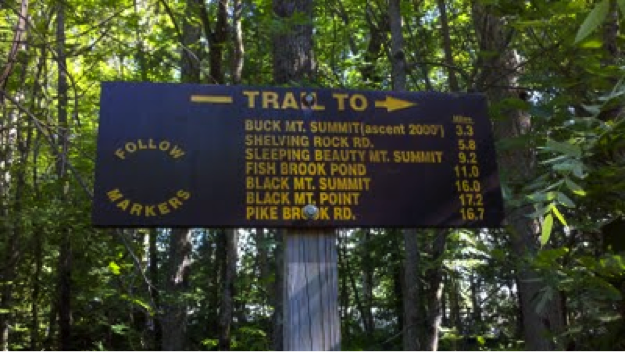 The trailhead begins just south of Pilot Knob on County Route 32, just south of Pilot Knob Road, on the scenic eastern shore drive. 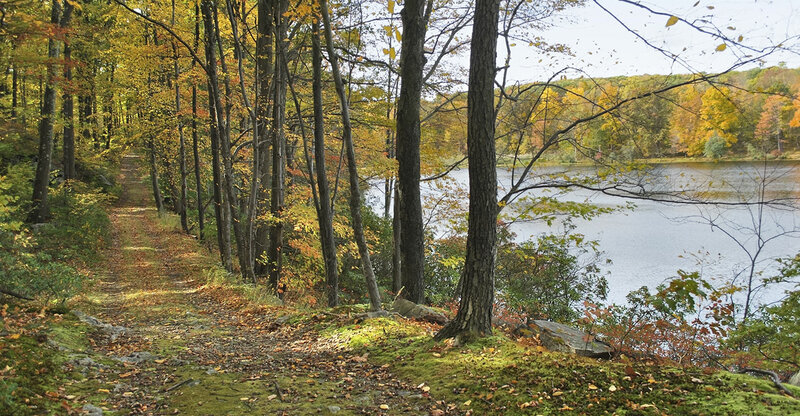 It is a popular trailhead, which sometimes fills on busy weekend afternoons. Buck is a fairly difficult 6.6 mile roundtrip hike. It has an ascent of 2,000 feet and a total elevation change of 4,000 feet, making for a rather grueling climb. The views at the summit, however, are well worth the effort, with expansive lines of site down the lake to the village and north past the Narrows, a cluster of state-run camping and picnicking islands at a point where the lake reaches its narrowest point, just one mile. The trail is a popular one and well traveled, following a wide, hard-packed old jeep trail for much of the early sections of the hike. The trail follows a stream bed for a distance, crossing it several times. The early walk through the wooded section of the trail is easy and flat. Most of the trail here is in shade, and views don’t begin to open up until close to the summit. 1.2 miles into the hike, the trail begins its climb and becomes rock-strewn. Make sure to follow the yellow trail markers. Close to the summit, the trail becomes less discernible. The trees thin out and there are many “herd paths”, or small unofficial trails made by hordes of hikers who weren’t sure where the actual trail was. Be careful to stay on trail near the summit and follow the “cairns”, which are piles of rocks built to mark the trail above treeline. Buck Mountain has some of the best summit views in the Lake George area. From the rocky peak you can see the villages of Lake George and Bolton Landing, Prospect, Crane, and Sleeping Beauty Mountains, and even the high peaks on a clear day! You can normally even see the cruise boats of the Lake George Steamboat Company trolling the crystal waters! It’s a difficult hike, but the views are well worth the effort. Take 87 North to Exit 21 and turn right off the exit. Make a left on Canada Street. Turn right on Beach Road and a left on 9L. The trailhead and parking lot will be on the right just before you reach Pilot Knob. 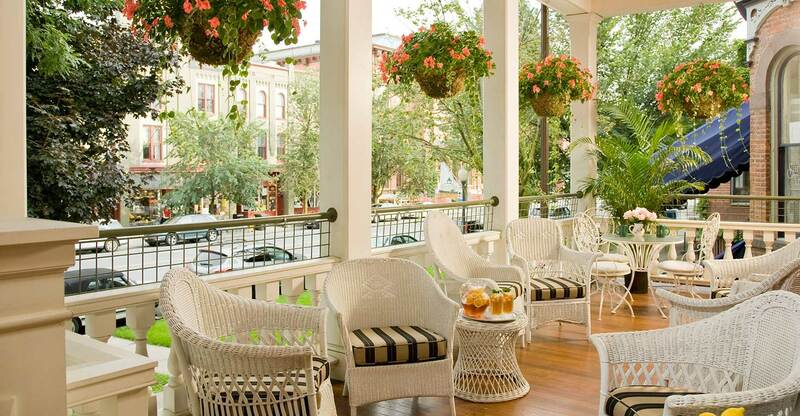 When planning your next adventure in Saratoga Springs, be sure to book your favorite room at Saratoga Arms as well as our Pick Your Path Package!